Notice how carefully this wording is framed. It doesn’t say that that the Bible teaches us everything there is to know about God. Nor does it say that the Bible teaches us that our knowledge of God is full and complete. Rather it says that the Bible teaches us what we are to believe concerning God. Surely, there are limitations to our understanding of God. He is infinite and we are finite. And, there may be things that we simply cannot understand about God. But, God has given us His word to teach us what to believe concerning Himself. For instance, Jesus teaches us to pray to “Our Father who is in heaven” (Matthew 6:9). Thus, one way we are to think about God is as a father. And yet, there are surely ways that this has its limitations. Like earthly fathers, God is the source of our life. 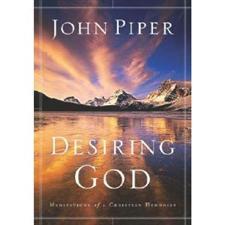 But, God’s role in our formation is far greater than an earthly father. Like earthly fathers, God is the authority in our lives. But, God’s authority in our lives is far greater than any earthy father we may have had. Furthermore, thinking about God as a father may not fully be accurate. For instance, is God really “male” (as we understand it)? How far does the analogy go? We can’t know for sure. But, Jesus has instructed us that God is “Our Father who is in heaven.” We are not to believe Him to be our “mother.” We are to believe Him to be our “father.” We are to believe God to be like the masculine father who protects and provides and cares for his children. God has told us what to believe concerning Himself. Let us believe it. 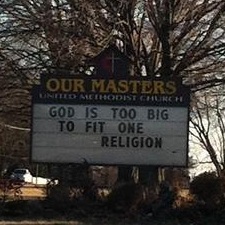 I happened upon a church sign that said, “God is too big to fit one religion.” While I agree that God is far bigger than we can even think or imagine (Psalm 139:6), there’s something horribly wrong with such a statement. First of all, it makes God contradictory. The gods of the religions of the world are different gods. The god of the Hindus is this creation. The god of the Muslims is Allah. The true God of the Bible is Trinitarian–Father, Son and Holy Spirit (who other religions deny). To have “God” fit all of these religions makes Him to be a contradiction. You end up having no God at all. Second, such a statement doesn’t match the God of the Bible. God constantly speaks of His chosen people (in contrast with those who are outside of His covenant). In the Old Testament, His chosen people was Israel, “Blessed is the nation whose God is the LORD, The people whom He has chosen for His own inheritance” (Psalm 33:12). In the New Testament, His chosen people is the church, “But we should always give thanks to God for you, brethren beloved by the Lord, because God has chosen you from the beginning for salvation through sanctification by the Spirit and faith in the truth” (2 Thessalonians 2:13). Third, this statement diminishes the love of God. This may shock many, but, it’s true. Consider the following parallel statement, “Bill Smith is too big a man for only one wife.” This man’s love would be a diluted love. Love is exalted when it is selective. A husband’s love for his wife is glorious when it is focused upon one woman. Every woman knows this. God has set His love upon those in the church: “Christ loved the church and gave Himself up for her” (Ephesians 5:25). Finally, the message of this sign misses the reality that God’s ways are often neglected. When Elijah was in peril, God assured him, “I will leave 7,000 in Israel, all the knees that have not bowed to Baal” (1 Kings 19:18). Jesus said, “Many are called, but few are chosen” (Matthew 22:14). The reality is that “God has chosen the foolish things of the world to shame the wise, and God has chosen the weak things of the world to shame the things which are strong, and the base things of the world and the despised God has chosen, the things that are not, so that He may nullify the things that are, so that no man may boast before God” (1 Corinthians 1:27-29). I love the story of the Australian Sunday School teacher who felt like she was losing the children in her class. So, one Sunday morning, she same and asked the five-year-olds, “Who can tell me what is gray and furry and lives in a eucalyptus tree?” The children were surprised at the question and unable to know how to answer. So, the teacher said, “Come on, someone must know. 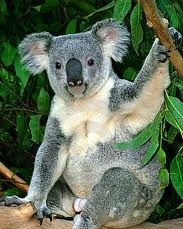 What is gray, furry, lives in a eucalyptus tree–has a black leathery nose and beady eyes?” When none of the children answered, she again repeated, “It lives in a eucalyptus tree; eats leaves; it has big beady eyes and furry ears.” Finally, one of the children hesitantly raised her hand into the air. With joy, the teacher called on the little girl, who said, “I know it’s Jesus, but it sounds like a Koala!” (Taken directly from the Introduction of Graeme Goldsworthy’s book, “Preaching the Whole Bible as Christian Scripture”). 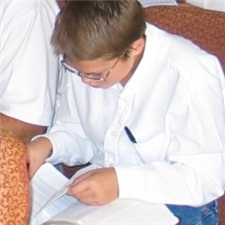 The story is humorous, but it tells a lot about the Bible. Jesus is focus of every story that we tell. Jesus is the answer to every problem that we face. Seek Him! The other day my four year-old simply announced, “If you believe in God, He is a good guy. 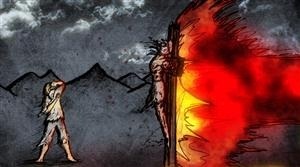 But if you don’t believe in Him, He is a bad guy.” Now, there are certainly things wrong with this statement. First of all, your belief in God (or lack thereof) doesn’t change God in any way. Furthermore, God can never be called, “a bad guy.” However, from my son’s perspective, he understands perfectly well. If you believe and trust in Christ, He will be good towards you, forgiving your sin and guiding you in the path of life. But, if you reject Him, you will face His wrath. My hope for my son is that he will see his parents enjoy the kindness of God in their lives, that he too will follow Christ with all of his heart for all of his life. “In those days Jesus came from Nazareth in Galilee and was baptized by John in the Jordan. 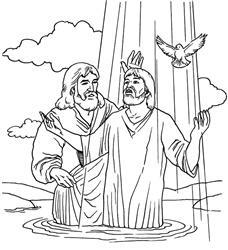 Immediately coming up out of the water, He saw the heavens opening, and the Spirit like a dove descending upon Him; and a voice came out of the heavens: “You are My beloved Son, in You I am well-pleased” (Mark 1:9-11). But we see something different here. We see the Father, the Son, and the Holy Spirit, all present in the same place at the same time. We believe in One God, and three persons of the Godhead.